Many Feared Dead In Gas Explosion. 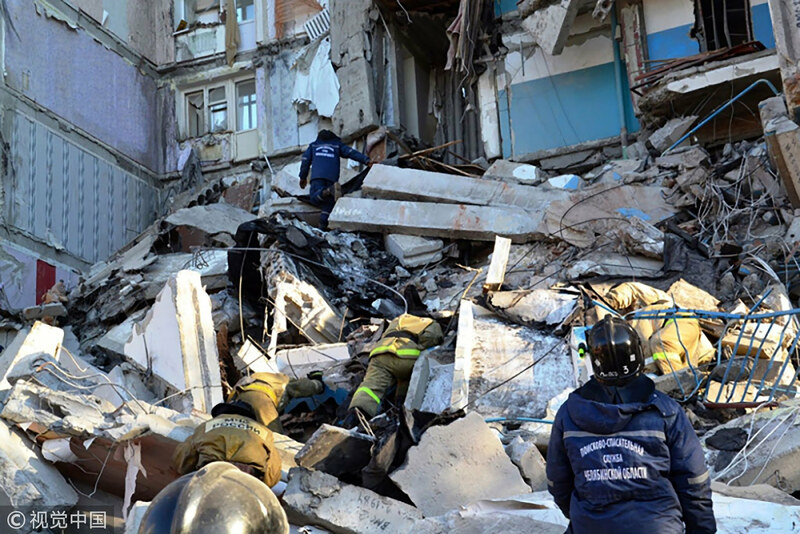 About 21 persons are feared dead as gas explosion tore down a residential building in the Russian city of Magnitogorskon December 31. Six people, including two children have been rescued, while 20 remain missing, the Russian ministry for emergency situations confirmed. The blast ripped through the building at around 6:00 a.m. local time (0100 GMT) when many of the residents were asleep. Some 110 residents were reportedly living in the apartment complex, and 48 apartments have been damaged, the deputy governor Oleg Klimov told the media. Russian President Vladimir Putin has arrived in Magnitogorsk and is expected to meet the victims of the blast and regional authorities in the industrial city.